Full face helmets are for racing wannabes and posers. You rock a murdered-out chopper that makes children cry and your bike rumbles and shakes more than the San Andreas fault. You wouldn’t be caught dead showing up to a ride with a colorful full face lid featuring some embarrassing graphic plastered on the side. Sturgis and Daytona bike weeks are coming up though, and you need to get through states with oppressive helmet laws. What do you do? 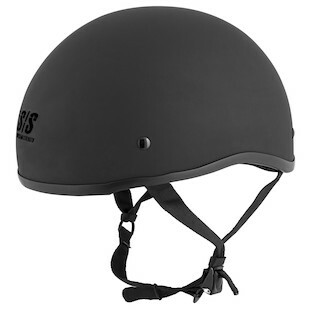 Grab a Speed and Strength SS450 Solid Speed Helmet, of course! This state-of-the-art skid lid will meet the letter of the law without getting laughed at and mocked by the rest of the gang. Black is the only color that goes with a badass old-skool bobber, and black is the only color this lid comes in. The polycarbonate shell provides a solid barrier between a rider’s head and the road at any speed. Protection for the most important part of a motorcycle - the rider - has never looked so good. Looking to show off national pride on every ride? The only thing more ‘Murican than the Speed and Strength SS300 Stars and Stripes Helmet is Bruce Springsteen performing at a NASCAR race. 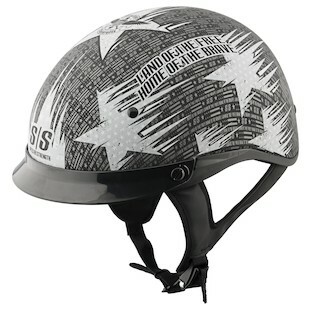 This patriotic helmet of freedom will go great with any hardtail blasting the national anthem down the freeway. The land of the free is waiting to be explored, and this lid will get you through any pesky helmet law states. More importantly, it would be foolish to leave the home of the brave on a motorcycle without head protection. The SS300, like its blacked-out brother the SS450, is made from the same polycarbonate shell technology found in full-face helmets. All of this in a package that will actually look good and protect your head without losing street cred. Regardless of whether your style icon is The Ghost Rider or Captain America, Speed and Strength has got your head covered. Now what are you waiting for? Sturgis starts on August 5th!